Eight gloriously detailed butterflies want to live with you! 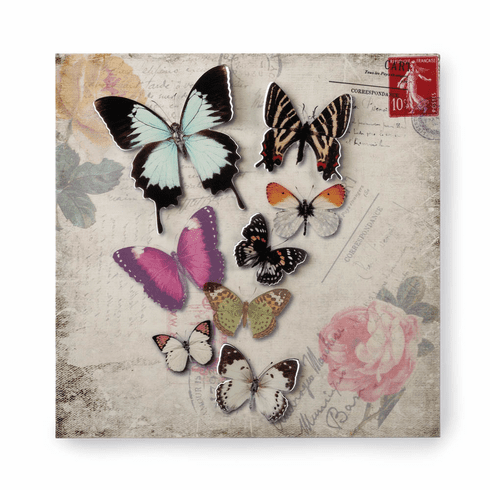 This metal wall art features a floral and postcard background that’s the perfect scene to show off their vividly colored cutout butterfly wings. Item weight: 1.6 lbs. 15 7/8" x 7/8" x 15¾" high. Iron. UPC: 849179026806.